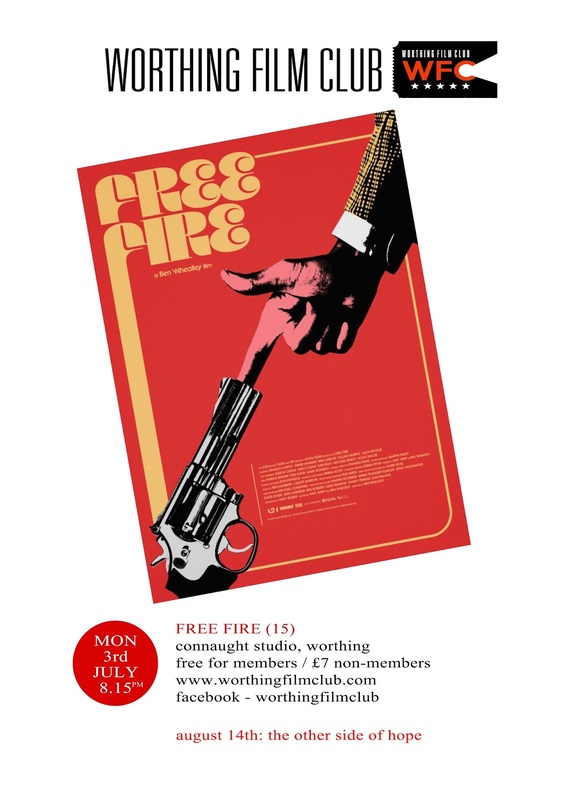 Worthing Film Club are proud to present FREE FIRE at the Connaught, Worthing on Monday 3rd July at 8.15pm, another explosive and darkly humorous offering from Brighton born Ben Wheatley (HIGH RISE, THE KILL LIST, DOWN TERRACE). 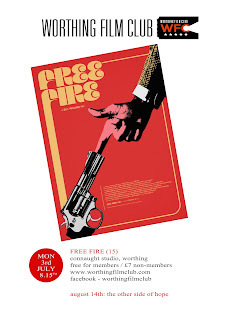 Set in Boston in 1978, this tightly-knit film tells the tale of a meeting organised in a deserted warehouse between two gangs which turns into a shootout and ultimately a game of survival. Brilliantly-drawn gang leaders are played on the one side by Cillian Murphy (SNEAKY BLINERS, BATMAN BEGINS) and on the other, Sharlto Copley (DISTRICT 9, MALEFICENT) with a great supporting cast including Brie Larson and Arnie Hammer. Filmed in a disused warehouse on the edgy streets of Hollingbury, this film packs a punch delivering hilarious one-liners in between some bloody battle scenes. You can watch a trailer for it here. Don't miss it!